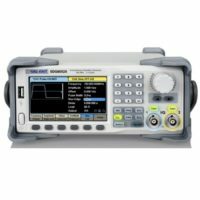 Categories: Brands, Digital Function Generator, Electrical & Electronic Test, Siglent, waveform Generator. Traditional DDS designs can lead to additional jitter and distortion when sourcing arbitrary waveforms. The SIGLENT TrueArb design minimizes jitter and distortion to help deliver high fidelity arbitrary waveforms. As with EasyPulse, TrueArb effectively overcomes the clock jitter that can effect traditional DDS generators. Gaussian noise with bandwidth up to 500 MHz. The repetition period is more than 100 years, and the bandwidth is adjustable. Wideband Gaussian noise can be easily added to other waveforms to simulate real-world scenarios in which the signal contains a large degree of noise. IQ waveforms can be generated by the PC software EasyIQ. PRBS3 – PRBS32 with finely adjustable 10-6 bps – 300 Mbps bit rate and 1 ns – 1 us edge. Harmonics Function Harmonics function gives you the ability to add higher-order elements to your signal. While “Independent” mode permit the two channels to be used as two independent generators. Independent mode also smoothes parameter (frequency, amplitude) changes made to an active channel. 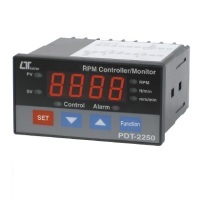 8-digit hardware frequency counter with statistics function and input range of 0.1 Hz – 400 MHz. 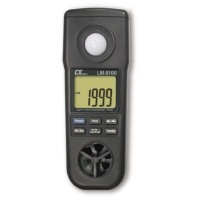 4 in 1 Anemometer, Light, Humidity, Temp.